In partnership with the Africana Studies program, Falvey Memorial Library is proud to announce an upcoming lecture by Walter D. Greason, Ph.D., Villanova University alumnus and community author. Dr. Greason ’95 will speak at 4:30 p.m. on Thursday, Sept. 30, 2010, in the Falvey Memorial Library first floor lounge. Dr. Greason is now an assistant professor in the department of history and the coordinator of the African American and Africana Studies program at Ursinus College. His lecture will focus on his recently published book, The Path to Freedom: Black Families in New Jersey (The History Press 2010). The book highlights the sacrifices of three African American families and the impact their struggles have made both in their communities and around the world. This event is free and open to the public. 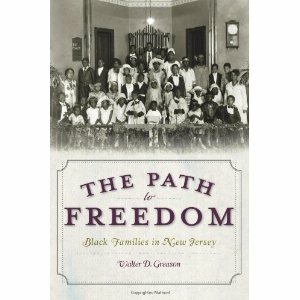 Copies of The Path to Freedom will be available for purchase and signing by the author.